Predictions for the network operations and management space have been pretty easy for the past few decades. Innovation has been relatively slow in how networks were managed, even though great strides have been made in networking technology overall. But as of 2018, and into 2019, a few key breakthroughs are accelerating the pace of change for the benefit of IT teams. Automation has been applied to many IT tasks, such as server and application deployments, as well as network updates. But most network management tasks have been difficult to automate based on the complexity of network designs and protocols, and an inability to automate the intelligence of network operators for analysis and remediation. This has limited network agility overall and the ability of IT to respond to rapid change requests or performance issues. Newer generation management platforms have started to incorporate artificial intelligence and network modeling so that many of these processes can now be handled programmatically for the first time. This includes intelligently analyzing network designs to remove errors and evaluating the viability and impact of proposed changes far faster than could be done in prior years. Verifying network changes before they are pushed live can help reduce roll-backs and improve confidence that updates will trigger any adverse issues. Virtual networking was a major boon to cloud networking and virtual application deployments in recent years, but the difficulty in managing virtual overlay networks has held many organizations back from widespread adoption. Correlating management issues in the virtual network with problems in physical network devices has been difficult. Often these two network layers were managed in different platforms and even by different IT groups. Problem isolation frequently led to a lot of finger pointing between network, application and server teams. Common platforms that have visibility to both the physical device management and analysis as well as the virtual network will start to correlate these network layers, isolate that needle in a haystack to more rapidly resolve issues, and simplify the overall management of virtual networks. As a result, overlay protocols like VXLAN, and virtual networking platforms like VMware NSX and Cisco ACI will see even greater adoption. Similar to consolidating the management and analysis of virtual and physical networks, we will also see an acceleration of public cloud management by traditional IT teams. In prior years, virtually anyone has been able to quickly spin up public cloud applications and services, giving rise to the term rogue IT. Again, separate platforms and teams for managing the cloud compared to on-premises networks has led to complexity in management and compliance efforts. 2019 is seeing the emergence of network management platforms and analysis tools that have visibility to public cloud infrastructure, such as Amazon AWS virtual private clouds. For the first time, organizations will be able to view these public cloud deployments as extensions of their physical infrastructure in a true hybrid cloud management platform. This will consolidate management control back to internal IT teams and start to rein in the rogue IT elements, which will help reduce costs and greatly alleviate compliance concerns. Perhaps the biggest change in 2019 for network IT managers is the ability to move network troubleshooting and diagnostics from a completely reactive process to a proactive process of ensuring network hygiene and health before an outage occurs or performance starts to degrade. This new methodology will be enabled by the intelligent analysis of network designs in software that can be automated with a deeper understanding of how the network will behave end-to-end than was possible in prior years. As a result, organizations will start to experience fewer priority 1 network errors and spend fewer IT resources in root cause analysis and remediation. Coupled with intelligent design analysis and proactive error detection, networks will also be easier to document and test, with resulting cost reductions for IT teams. Every network IT team and organization has its own unique set of challenges, processes and complexity to deal with. The explosion of data-intensive applications, cloud deployments and accelerated DevOps processes have made it hard for network IT managers to keep up. But current trends appear to be rolling back the tide towards automating much of this complexity going forward. Time will tell, but 2019 appears to be off to a good start already! 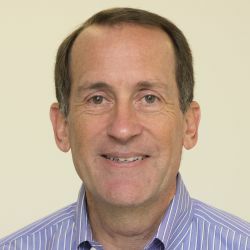 Gary Kinghorn is Director of Product Marketing at Forward Networks. He has over twenty years' experience in product marketing in networking and security technology at Cisco, Nokia Networks, HPE, 3COM and RSA Security.